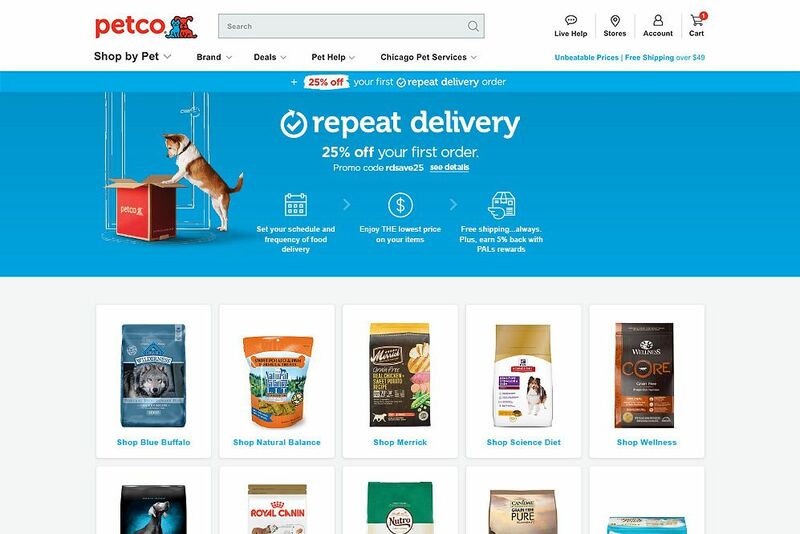 Petco is one of the most trusted brands in pet care, and like many brands in today’s marketplace, their brand comes alive across a range of consumer interactions, from user experience to in-store and many more. 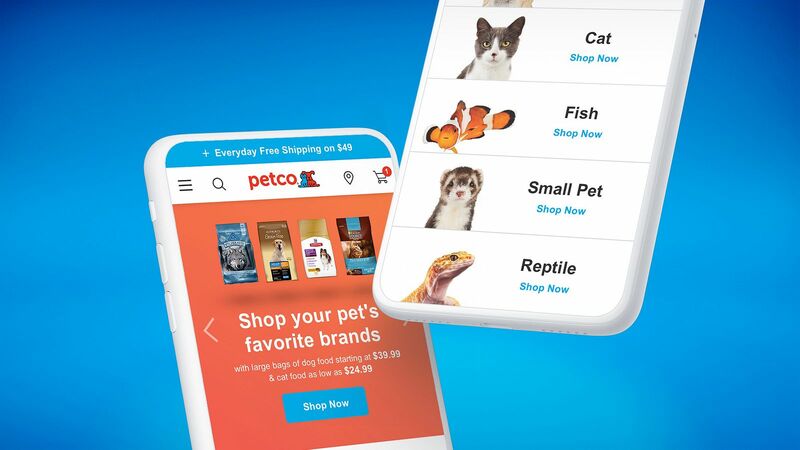 Engaging with consumers throughout their journey—from the day they bring home their new pet through years of daily care—gives them a unique opportunity to build lasting and meaningful relationships with their consumers. 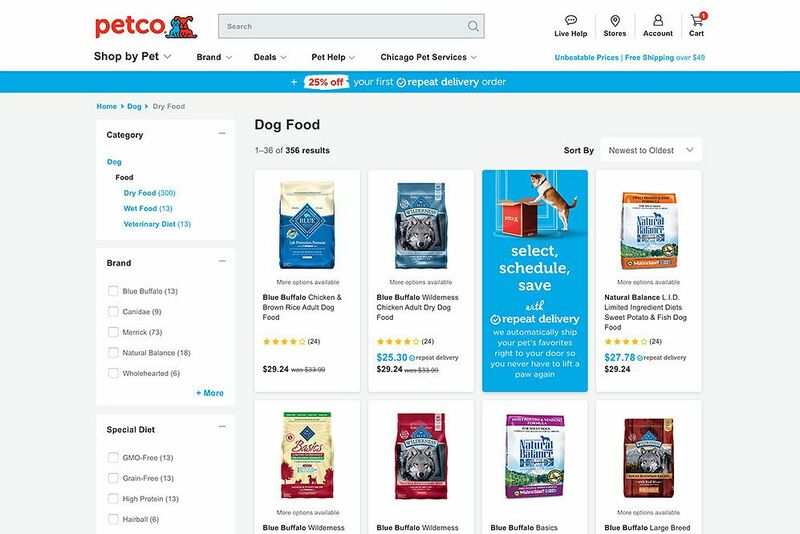 And with over a thousand brick and mortar stores, Petco has a genuine advantage over their digital competitors, with a location “just down the street” and an established history of person-to-person service.  Our mission was to leverage the brand’s physical presence to create new ways to create deeper digital connection with consumers. 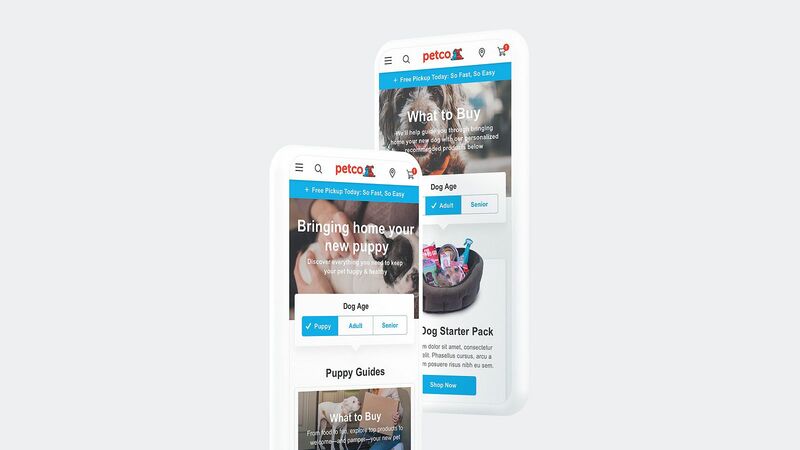 To do this, we needed to develop a site that adapts to the changing ways that pet owners are shopping and features programs that connect across multiple touchpoints. 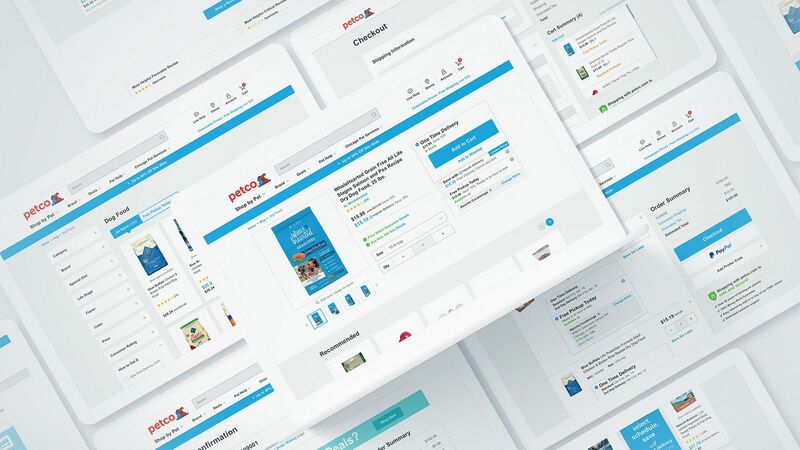 Following in-depth competitive and consumer research, we created comprehensive wire frames and a new user flow that feature an easy-to-use UI that complements their core brand and marketplace advantages. User experience is brand experience. 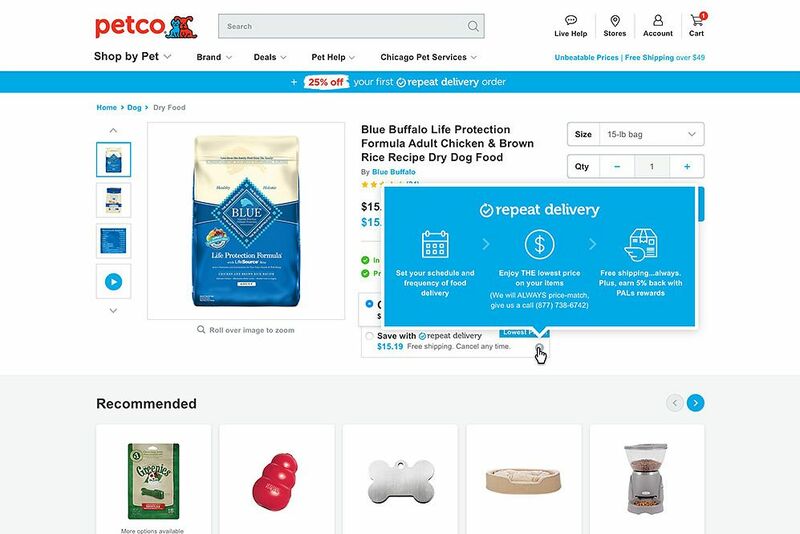 We simplified the shopping flow to make it easier for pet owners to get their favorite supplies. 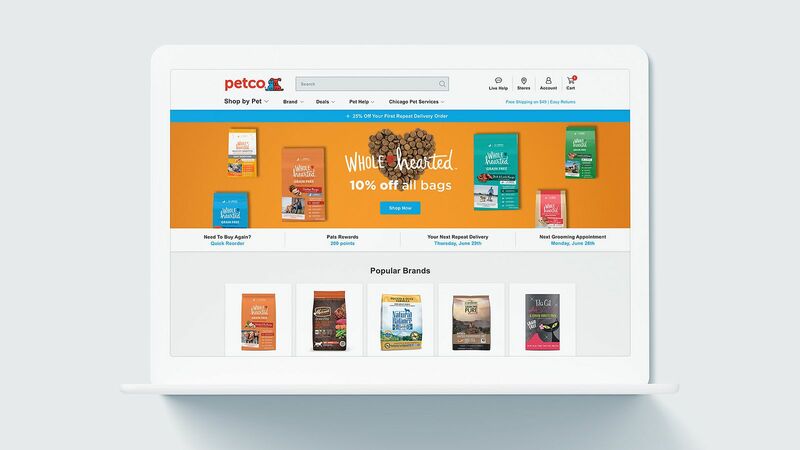 The experience is the message – Petco has you and your pet covered across your shared journey. 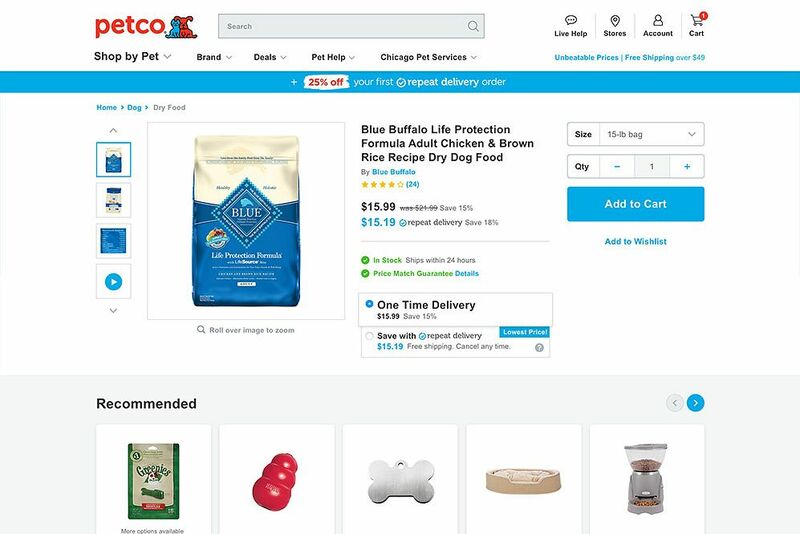 We also developed a content strategy, including several new services that enhance the shopping experience and help create deeper connections between consumers and the brand. The “New Pet” program is dedicated to helping first-time pet owners feel confident they have everything they need. 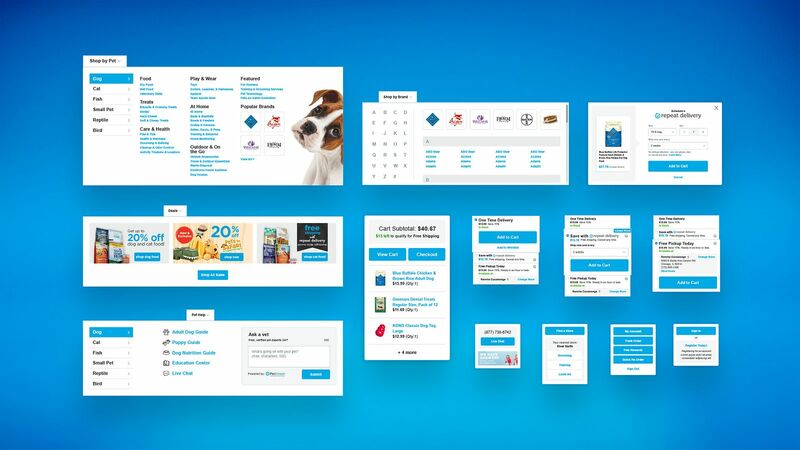 We also moved the program into their stores, creating a more unified consumer experience. 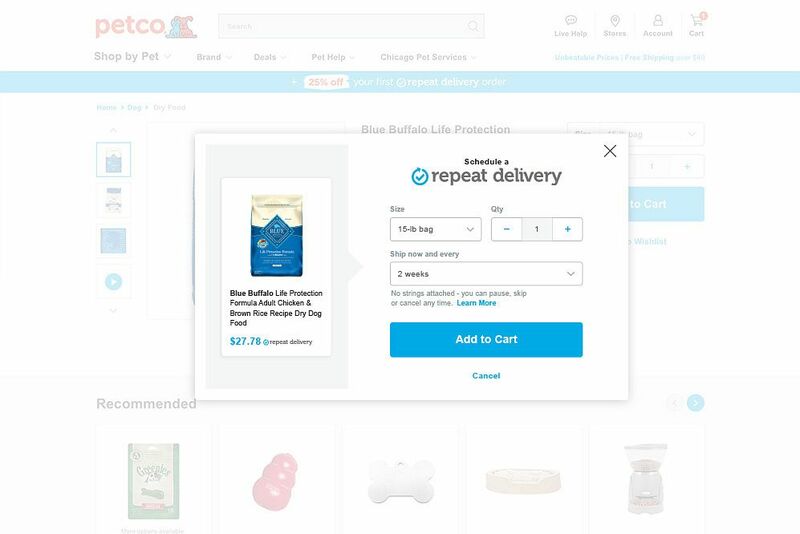 We expanded the Repeat Delivery program, creating a content strategy that incorporates dynamic messaging for the program across the site. In 2018, we're continuing to refine functionality through real performance metrics.